Lester’s life changed quickly from study and preparation in Detroit to assignment on a battleship in World War II. 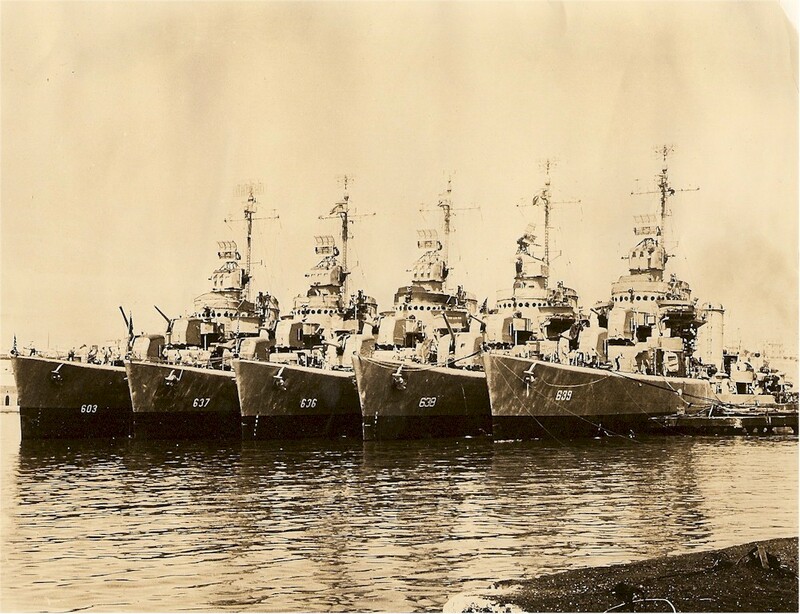 His ship, the USS Gherardi, was a Gleaves Class destroyer. It served through WWII and the Korean War, later being pulled from service. Its story ended in June 1973 when it was sunk off Puerto Rico as a target ship. 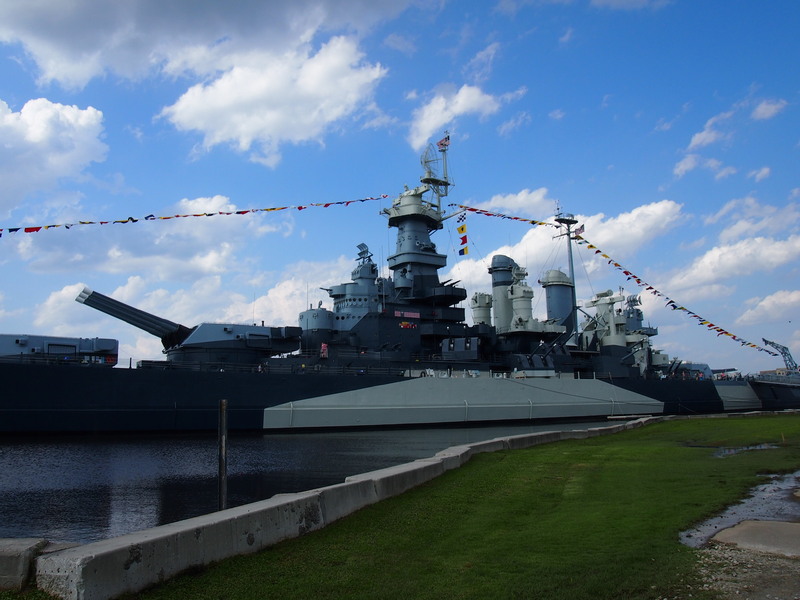 Since the Gherardi no longer exists, I will illustrate many of Lester’s upcoming letters with photos from the USS North Carolina, now a museum in the harbor at Wilmington, North Carolina. Though the North Carolina was a different class ship, one can imagine Lester roaming its decks like he did the Gherardi. I have a few minutes before going to work so I’ll write a few lines. I’m working in the sail locker now so I won’t have to do any mess cooking. The sail locker has charge of all hammocks, seabags & ropes. I eat chow at six, ten-thirty & three-thirty. Pretty early isn’t it? I like it pretty well here now. By the way, I think that I misspelled the name of my ship. It is spelled “Gherardi”. It will be quite a long time before she will be ready to leave. It is all steam so I won’t have a chance to use my Diesel knowledge. Maybe I can get transferred later to a Diesel. I’m studying on steam every night. Its time for me to go so I must close. In a document stored with Lester’s letters is a page of specs on the USS Gherardi. There is no indication who might have written this description, but it was obviously someone very familiar with the ship. The Gherardi was 348′ 3 5/8″ long, with a width of 36′ 1″. The tonnage, fully loaded, would approximate 2600 tons with an expected mean draft of 13’8″. “The ship will be driven by twin screws, turbine driven. The rudder is of the balanced type on a streamline form, carried entirely on the rudder stock. 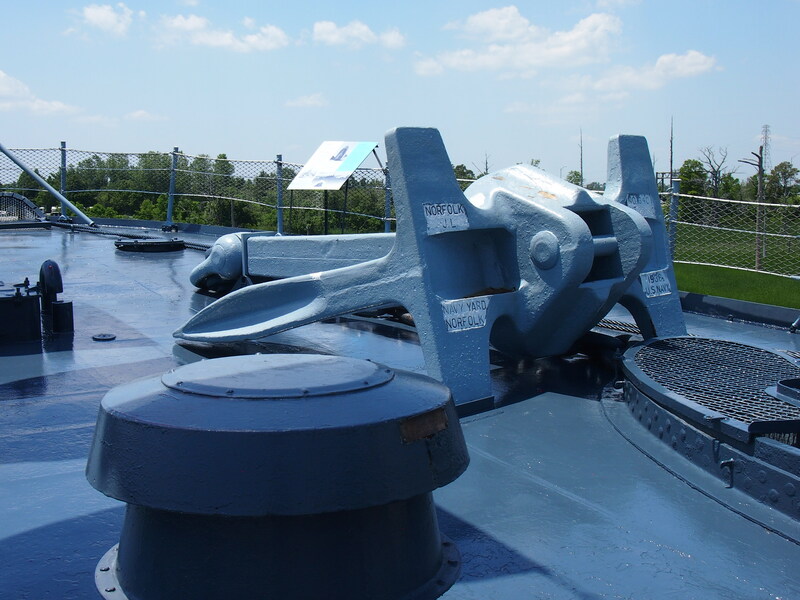 There are two bower anchors, one port and one starboard–each weighing nearly 3000 pounds and each bent to 109 fathoms of 1 1/8” steel die locked chain. 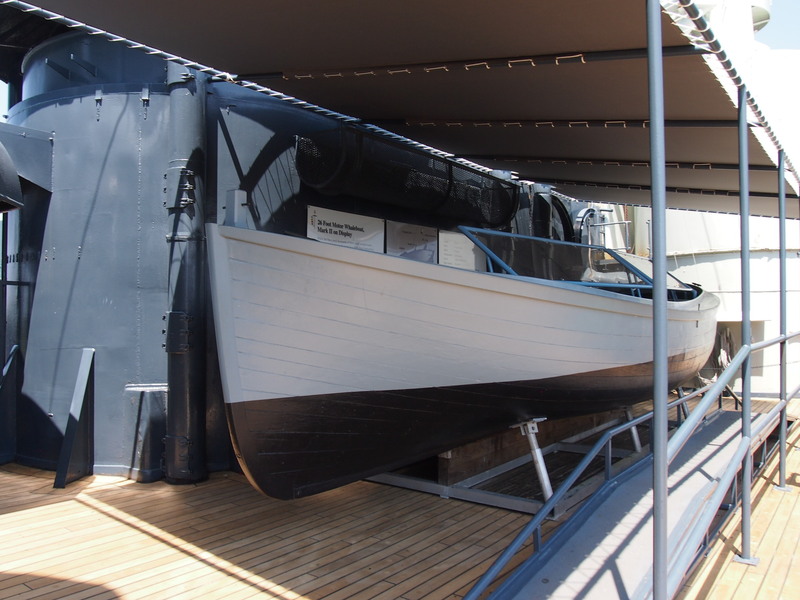 On each side is carried one 26′ Diesel powered motor whaleboat with a capacity of 24 men each. There are also 8 balsa wood floats, capacity 25 men each. “There are two firerooms (boiler rooms) and two enginerooms divided from forward aft into fireroom, engineroom, fireroom, and engineroom in that order. The forward engineroom drives the starboard shaft and propellor, and the after engineroom drives the port shaft and propellor. Each fireroom has two high pressure boilers, numbered in order, 1 and 2 forward, 3 and 4 aft. If it is desired, boilers 1 and 2 may be used to drive the after boilers and similarly, boilers 3 and 4 can be used to drive the forward engine. Under wartime conditions we use both engines with one forward and one after boiler. “The tank capacities are: Fuel oil and reserve–129,373 gallons; fresh water and reserve feed–25,442 gallons; Diesel oil (can be also used to mix with fuel oil for boilers)–11,336 gallons. “Contrary to many rumors, the Gherardi will not exceed a maximum speed of forty knots by much. However, that is very fast for a surface ship of this size and type. “The main battery of the Gherardi will consist of 4, 5″ 38 caliber guns in mounts, two forward and two aft. These guns can be elevated to 85 degrees, almost straight up, for fire at planes and are the main defense against high level bombing attacks as well as surface targets. The maximum effective range of the 5” 38s is about 15,000 yards on the surface and with their director and computor are the last word in naval gunnery. “The anti-aircraft battery is also the latest type and consists of four 20 MM Oerlikon anti-aircraft machine guns and two twin mount 40 MM anti-aircraft machine guns. 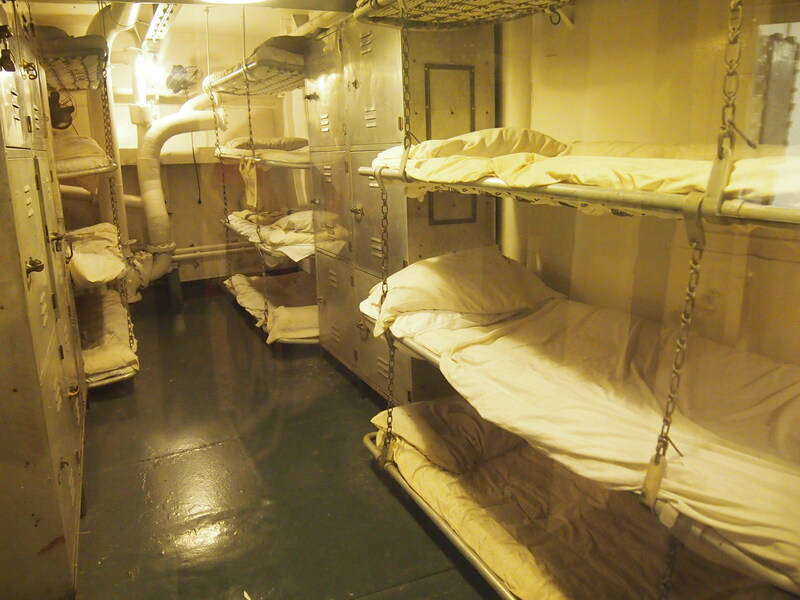 The 20s are located, one on each side of the superstructure deck and one on each side of the admidships deck house. These 20MM guns shoot a maximum of 450 half-pound high explosive shells per minute each, and are very effective against dive bombers and low-level attacks. 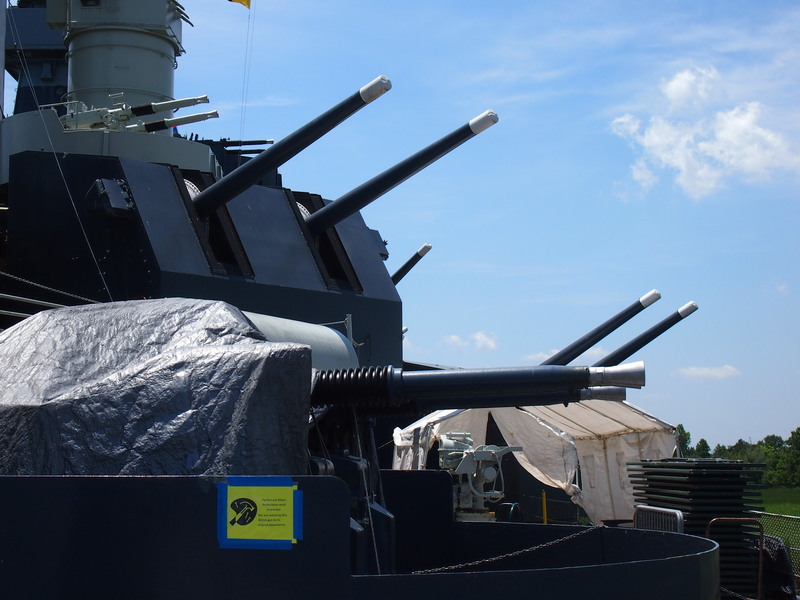 The 40 MM anti-aircraft machine guns, located on the top of the after deck house, shoot a larger projectile and have a longer range. They fire at a maximum rate of 80 rounds per barrel per minute. “One quintuple tube torpedo mount is located on the centerline admidships between the stacks and can be trained for attacks on either side of the ship. 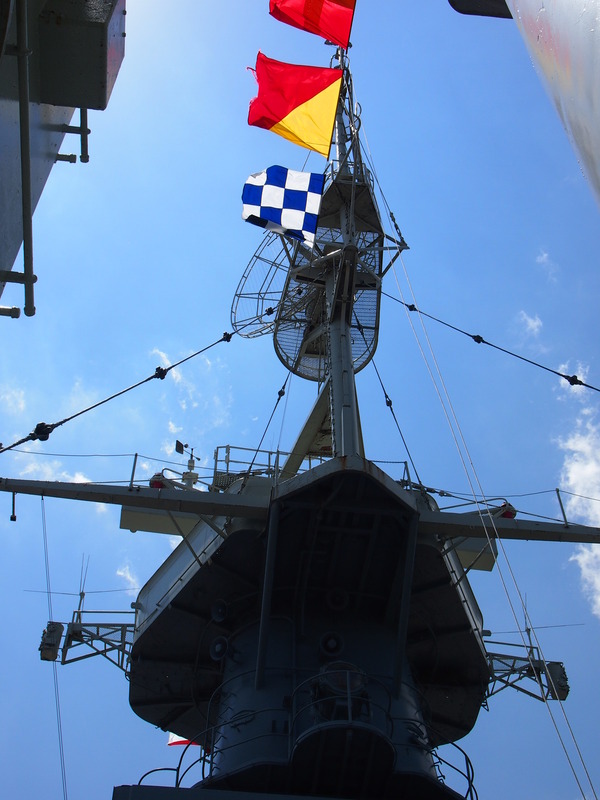 The latest type 21”, 21 ft. torpedo is fired from this mount on the Gherardi. “On the fan tail are two depth charge racks holding eight 600 lb. depth charges for rolling off the stern. 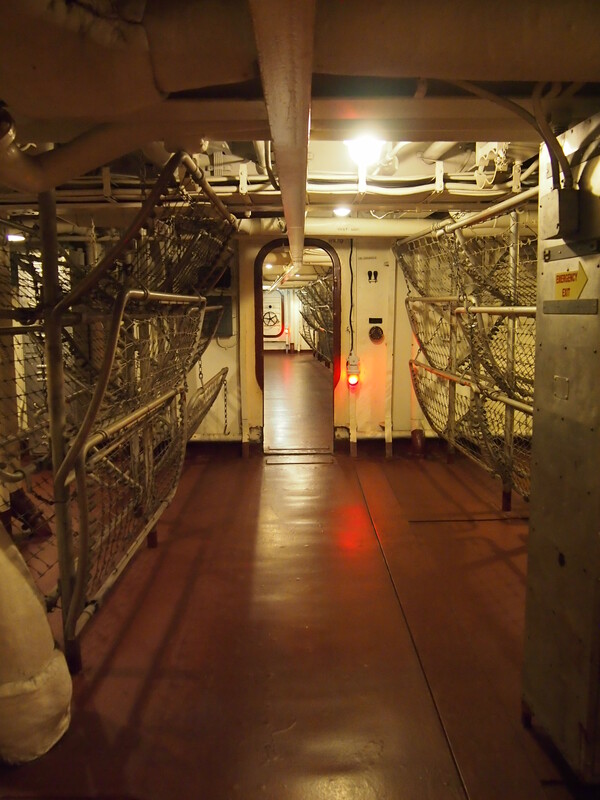 On each side of the after part of the ship are three “K” guns for projecting the 300 ob. depth charges to each side. “Also on the fan tail is located a smoke screen generator, for laying down a screen. This device can be rolled off the stern by pulling a lever in case the dangerous chemicals contained are let loose by accident. 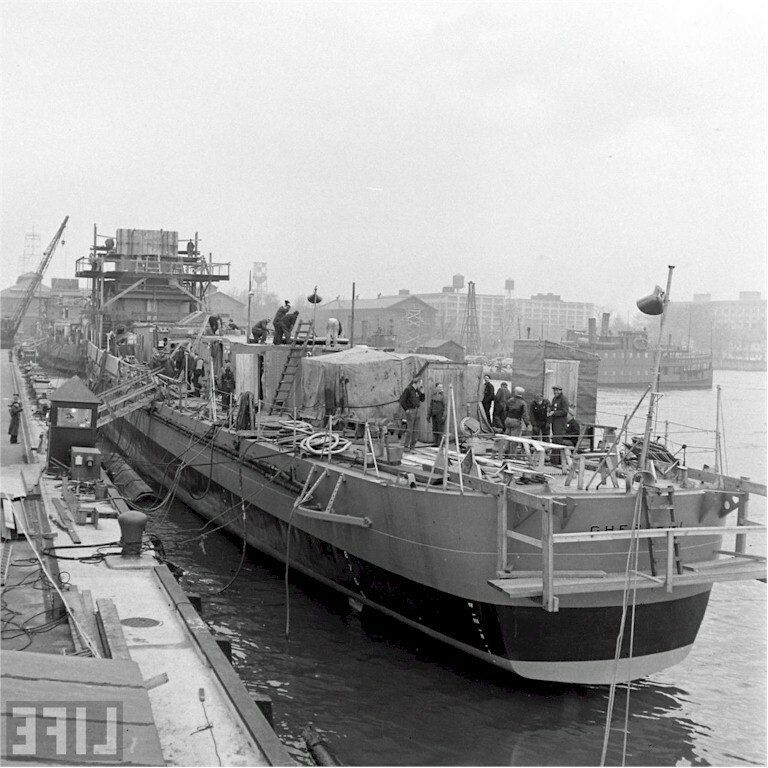 The Gherardi under construction in the Philadelphia harbor, 1942. Photo credit LIFE. Thank you for this remembrance of Lester, a hero! My late father, John L. Brooke, also served aboard USS Gherardi (DD637) from 1943-46. He was a Shipfitter 2nd Class and saw combat aboard this destroyer during the invasion of Sicily in 1943, the invasion of Normandy on June 6, 1944, and the invasion of Okinawa in 1945. By that time Gherardi had been converted to DMS-30, a destroyer-minesweeper. I also have letters that Dad sent to my grandfather during the war. The Greatest Generation, indeed. Thank you for your comment, Lindsay. Aren’t those letters a priceless treasure?